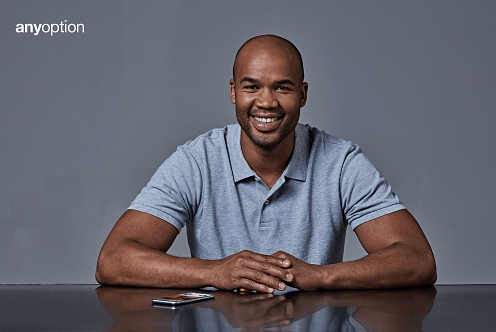 anyoption Signs South African Rugby Star JP Pietersen as Latest Brand Ambassador. anyoption is pleased to announce that South African rugby star JP Pietersen of Leicester Tigers, will be the companies new Brand Ambassador. Pietersen will join the leading binary options broker for a 12 month partnership in a new integrated marketing and advertising campaign across print, digital, and social media beginning September 2016. “anyoption is on an ongoing mission to make online trading more fun and exciting while putting our trader’s online security and international regulations first” said Shy Datika, anyoption’s CEO. “anyoption is more than a trading platform, it’s a trading community. With over 1M traders worldwide we are proud to lead the industry with regards to innovation, regulation and customer satisfaction. We are happy to welcome JP Pietersen to our community as our newest Brand Ambassador; together we will continue to make dreams into reality. anyoption has announced that traders have a lot to look forward to in Q4 2016. They will introduce their unique trading platform Bubbles for mobile, release Dynamics a whole new way to trade binary options and enhanced internal processes such as documentation processing via Keising Software. Customers can always stay in touch by following @anyoption on Twitter, FB facebook.com/anyoption and at http://www.anyoption.com. JP Pietersen is a South African World Cup winner who was also a part of the Springboks side that won the series against the British & Irish Lions in 2009. His performances for the Sharks earned him a call-up to the South African Test side in 2006 when he made his debut against Australia in a 24-16 Tri-Nations win in Johannesburg. JP is now a senior squad member for the Springboks and the Sharks. Earlier this year Pietersen captained the Sharks in his 100th game for the Durban-based South African Franchise. He has now signed for Leicester Tigers in the English Premiership. anyoption’s trading platform is operated by Ouroboros Derivatives Trading Ltd., a registered European investment firm authorized and regulated by CySEC under License number: 187/12. anyoption’s license is a regulated full market maker, enabling the company to offer the highest level of financial services on par with licenses issued by the EU’s regulators including the British FSA, French AMF, and Italy’s CONSOB. anyoption is the only binary options platform regulated under FSB, Financial Services Board, an independent institution in the South African non-banking financial service industry.